Reserve your spot now! For any questions, please contact “Chef’s Table Reservation Coordinator” at ChefsTable@SushiDen.net or call 303-777-0691 and speak to the manager on duty. Time is at 6:20pm. Please arrive on time. What is the occasion for the Chef’s Table? Is it the first time you are booking our Chef’s Table? Which seating do you prefer? •	Counter has 6 seats are available. We also have 2 adjacent tables for 2 guests. The two tables can be made into 1 table for 4 seats if you have a party of 4. •	Seats will be designated by earliest received Reservation Form. In other words, the sooner you send your Reservation Form, the more choice in seating you will have. •	Each individual can reserve a spot(s) or you can also reserve entire room for your group, up to 10 guests. However, if you have a single group wishing for seating together at the same table, the maximum number of seatings is 8, with no counter seating possible due to the space limitation. •	We reserve the right to adjust the seating according to the number of guests in each reservation. This is done to enhance your dining experience. The tax and 20% gratuity will be added on your final bill. 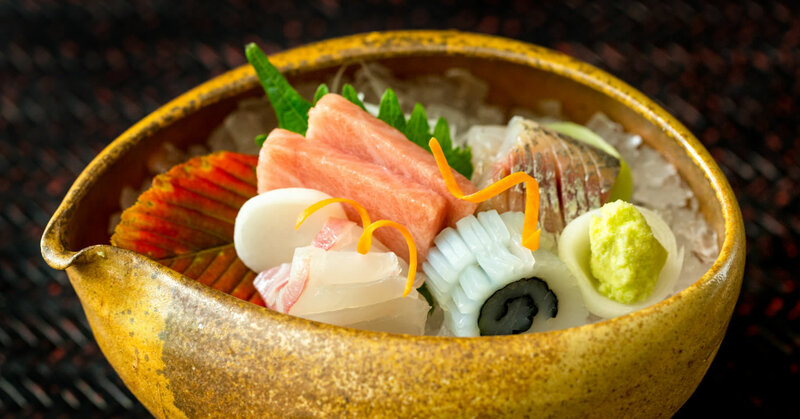 Because our master chef carefully selects all the ingredients including from the direct shipment from Nagahama Fish Market in Southern Japan as well as sauces and stocks he uses for the dish, we are unable to accommodate any dietary restrictions or allergies. No gluten free menu or substitutions available. It is crucial for you to inform your party when booking for your group about this important advisory. I have read and agreed to the Important Advisory above. I have read and agreed to the Cancellation policy above. ◂ Return to Chef’s Table page.